Ask a random stranger in early May about plans for Mother’s Day, and he or she can likely give you a full itinerary for the day, including church with Mom, lunch with Mom, flowers for Mom, and gifts for Mom. Awkward silence. A contrived cough. Crickets chirping. Because, let’s face it: Father’s Day just doesn’t get the same kind of respect. Now some will immediately chalk that up to a cultural assault on fatherhood, which I won’t dispute exists, though I don’t necessarily think the less-than-stellar celebration of Father’s Day is the best evidence of it. Mom and home are always closely connected, and so I wonder sometimes if celebration of mom is also celebration of all things nostalgic. Plus moms make gift-giving easy for their children! Sappy tears and a bright, emotional response to kisses and hugs and simple gifts make celebrating mom pretty effortless in many ways. Men, on the other hand, can be more of a challenge, only because they’re different from us in all the incredible ways God intended. Though most of them don’t necessarily pine after fresh flowers or weep uncontrollably at the sight of a crayon-scribbled card, (not to say it could never happen!) they deserve all the love and appreciation we can shower on them on their special day. So you’re thinking a tie, right? Maybe a coffee cup. Argyle socks. I’m not knocking those choices, (I’ve pulled out a couple of them myself a few times,) but you can probably come up with some more original ideas. If you’re buying Father’s Day gifts en masse, for all the fathers in your church, for example, or those in your homeschool co-op, gifts like cans of Dad’s Root Beer, Tootsie Rolls Pops, or Pop Rocks are simple, inexpensive gifts. Mini-flashlights and tools, desk set, or keychains are also an option. in the cute sorting divider box. And I mustache you a question. (And, yes, that’s a bad joke. An old, bad joke even. Forgive me.) 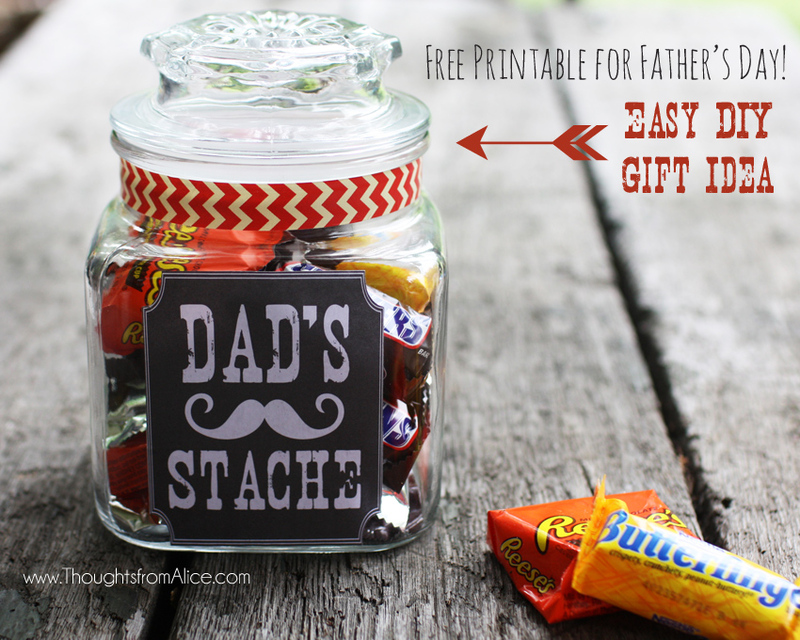 But have you ever seen a cuter idea for Father’s Day than this Dad’s Stache jar? I also like using these wire clamp jars too. I always have such a hard time throwing away mint tins. I mean, they’re reusable! Well this is a great way to put them to use. 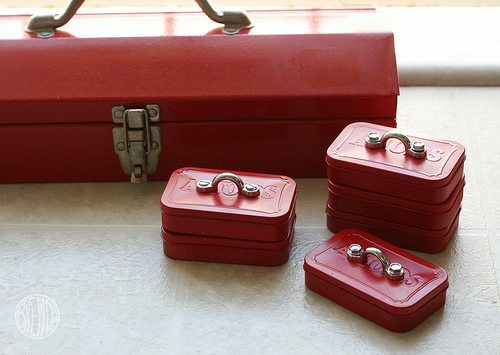 Just follow the step-by-step instructions, then fill with nuts and bolts, screws or nails, or any other useful doodads Dad might need to keep on hand. But there are literally hundreds more ideas where these came from! 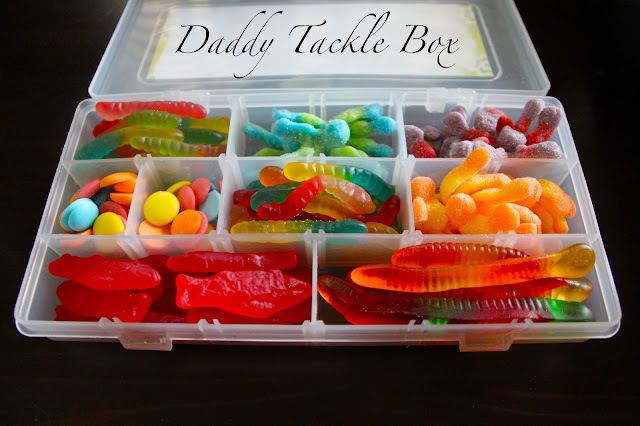 Check out 14 Last Minute Handprint Father’s Day Crafts for some very simple project ideas, or these 42 Homemade Father’s Day Gifts for Moms and Kids to Make. You’ll find a couple dozen more great ideas for gifts and Father’s Day decor at DIY Father’s Day Ideas. Still need more? Here you’ll find 100 Handmade Gifts for Dad, divided into categories to make the search for the perfect gift a little easier. If you’re looking for simple printables for Father’s day, these simple printable worksheets and coloring pages may be right up your alley. For gifts and decorating, download a GORGEOUS free Father’s Day printable pack here. Some of these are incredibly cute, but in a classy, manly sort of way. Don’t see anything to your liking? Here you’ll find 50 free Father’s Day printables of all kinds, including cards, coupon books, and unique food labels. Still not seeing anything you like? Look here for 101 free Father’s Day printables. Maybe you were hoping you and the kids could learn a little something about Father’s Day. Did you know Father’s Day actually began in Spokane, Washington? Believe me, the Spokanians, (if that’s a word,) have not forgotten! Check out the Father’s Day Birthplace website for a history of the founding of Father’s Day. Find even more information here, including poems and quotes about Father’s Day, as well as info about how fathers are celebrated around the world. Interested in doing a unit study related to Father’s Day? Try out Whales Passing, a literature-based unit study dealing with the relationship of fathers and sons, and check out the related library list. This Father’s Day reading list offers even more great book options. There’s no excuse for neglecting Dad this Father’s Day! With a little time and forethought, we can come up with the perfect thing to make the dads in our lives feel as loved and appreciated as they are. How will you celebrate Father’s Day this year? What do you do to make the fathers in your life feel special?